Summary: UHD and HDR are two different technologies. UHD is used for resolution while HDR is a hardware feature which enhances the colors and contrasts of a UHD screen. Here we will discuss in detail about 4K UHD and HDR. UHD and HDR seem two different technologies. Yes, they are, but they work pretty together. UHD stands for ultra-high definition and HDR stands for high dynamic range. UHD itself is the default entertainment standard for media device because of its outstanding picture quality. HDR is simply a camera feature which enhances the visual quality of UHD even more. The main difference between UHD and HDR is that UHD is used for resolution while HDR is a hardware feature which enhances the colors and contrasts of a UHD screen. So, in this article, we will discuss in detail about 4K UHD and HDR. Part 1: Introduction to 4K UHD and HDR and Why They Are Important to You? UHD or Ultra High Definition is derived from the digital 4K format. Both of these technologies are used for display resolutions. 4K and UHD have a slight difference which is that the UHD resolution is 3840x2160p while the absolute 4K resolution is 4096x2160p. So, if you see a TV saying that it is 4K UHD then its resolution will be 4096x2160p. 4K UHD is around us for a decade now and has become the standard format for Blu-rays. 4K UHD simply means more pixels and it is four times the size of a regular 1080p screen. With so many pixels the 4K UHD screen is able to show sharper details, more natural colors, true blacks, and color vividness. UHD also includes the 8K resolution which is known as Super Hi-vision in Japan. Basically, an 8K resolution is two times the resolution of a native 4K UHD. The 4K UHD is slowly becoming the default entertainment standard for the gaming industry, movie industry, and the online movie streaming services. HDR means ‘High Dynamic Range’ and it is the ratio of lightest whites and the darkest blacks. We can say the more the high dynamic range is, the more close will be the image to reality. By reality, we mean true-to-life and lifelike clarity on a UHD screen. HDR works with 4K UHD screens to deliver brighter whites and darker blacks on the screen. You can simply say that HDR makes a 4K UHD video more close to realism. People often get confused and ask questions like “is UHD the same as HDR?” But technically they are different. The standard version of HDR is HDR10 and it is supported by most of the UHD TVs. Simply having an HDR10 enabled TV means that you will be enjoying more detail, better colors, contrast and clarity on its screen. Also, an HDR10 TV uses a wide spectrum of colors, simply a wide spectrum will be able to show more natural colors instead of showing a mix of colors. HDR10 uses a fix set of information that is applied to the entire length of the movie. HDR10 tells a compatible equipment about how the brightness should be, how the contrast and color depth should be, how much blacks the blacks should be. This information remains fixed to the entire length of the movie. HDR10+ is the newest version owned by Samsung and is being implemented by Amazon video. So we can say that the online streaming services will now be able to provide HDR content at very cheap prices. For that you won’t need expensive Blu-ray players, a fast internet connection and a true 4K UHD HDR10 enabled TV will do the job. All HDR10 enable TVs will by default support HDR10+. So if you want lifelike entertainment on your 4K UHD TV then buy the one which supports HDR10. It will be future proof for at least 10 years from now. Another inclusion of HDR is Dolby Vision a 4K video format which is owned and developed by Dolby Surround. Dolby Vision is usable by TV manufacturers only if they get a paid license for it. This might be the reason why most manufacturers prefer HDR10 and HDR10+. But Dolby Vision is better than these two because it uses 12-bit color depth while HDR10+ works similarly to Dolby Vision but uses 10-bit color depth. Dolby Vision uses metadata frame by frame. It sends information to a compatible equipment and tells them about how the brightness should be, how the contrast should be, what level of detail should be there in the a scene. All this information is rendered frame-by-frame which delivers the best viewing experience on a 4K screen. HLG is the final variant of HDR and stands for Hybrid Log Gamma. It is an HDR standard developed by BBC and NHK and is a royalty free standard. HLG is solely used for broadcast signals. The problem with HDR10 and Dolby Vision is that they use metadata which can’t be read by olders TVs and some newer TVs. So to fix this HLG uses the same gamma curve that an SDR signal uses but adds a logarithmic curve with extra brightness over the top of the signal. That’s why HLG is more suitable for broadcast signals. Biggest advantage of HLG is that it works with a wide range of TVs which doesn’t support HDR. So you now know what 4K UHD and HDR are? If you are looking for 4K UHD Blu-ray solutions like copying 4K UHD Blu-ray discs, ripping those UHD Blu-ray discs, and creating your own 4K Blu-ray discs with custom menus then check out these DVDFab 4K UHD Blu-ray solutions below. DVDFab UHD Copy is a 4K UHD Blu-ray disc copy software. It lets you copy your original 4K UHD discs to another blank BD50, or BD25 discs. DVDFab UHD Copy provides three main functions which are ‘Full disc’, ‘Main movie’, and ‘Clone/burn’. Now each of these functions provides two ways of copying the disc. One is the 1:1 lossless copy and other one is the compressed copy with 2160p resolution retained. If you want to save money on blank UHD discs then you can compress the original movie and burn it to a BD50/25 disc. The good thing is that if you currently don’t have a blank Blu-ray disc then you can copy and save the original movie as an ISO or a folder. Later you can burn that ISO or folder on a blank BD100, BD50 or BD25 using a third party burning software. DVDFab burning engine can burn BD50/25 discs but not BD100. Another advantage of this software is that it is very good at retaining the HDR10 and Dolby Vision and has faster copy performance because of Intel Quick Sync, Nvidia Cuda, and AMD acceleration. DVDFab UHD Ripper is a 4K UHD Blu-ray ripping software which can convert 4K UHD to common video formats likes MKV, M2TS, and MP4 (1080p only). It provides six video outputs including 4K (MKV, M2TS), Passthrough (MKV, M2TS), SDR (MKV, MP4). The two Passthrough formats are lossless formats which equal the original video quality on the UHD Blu-ray disc and retain HDR10 quality. The4k formats also retain the HDR10 quality. The 4K formats shrink the original contents to a comparatively smaller size, yet still offering the best video quality possible, and the last two SDR formats can convert the HDR10 contents to flawless SDR contents without compromising too much of the natural color, including brightness, saturation, sharpness, and vividness. With a built-in video editor, it is quite possible to edit your 4K UHD movies before converting them. And the chapter select and title select options will let you choose the videos that you want to convert while skipping the rest. With Intel Quick Sync, Nvidia CUDA, and AMD Accelereration the disc processing speed gets boosted. These technologies bring down the overall time required in ripping the discs so you have to wait less. 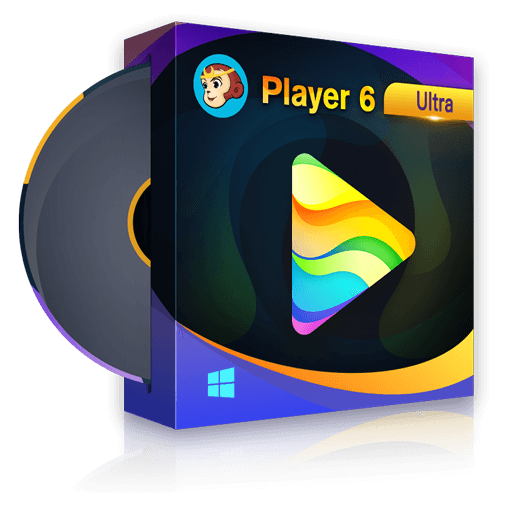 Do you want to create your own 4K UHD Blu-ray discs then DVDFab UHD Creator is for you. If you have a high definition movie or a movie encoded with HDR10 or a movie with common formats then this software should be used. The DVDFab UHD creator will convert any movie/video of any format to a 4K UHD disc, ISO, or folder. This converted 4K UHD movie can be played on various UHD players. You can create your own BD100 (ISO only), BD50 or BD25 discs and play them on your UHD player. DVDFab UHD Creator is very good at retaining HDR10 and Dolby Vision quality. Creating a UHD disc may consume more time but don’t worry DVDFab UHD Creator is equipped with Intel Quick Sync, Nvidia CUDA, and AMD Acceleration. These technologies are known to increasing the processing power and reduce the time required for disc media conversion. We just explained UHD and HDR. I hope you now know what are they and why they are important to you. Secondly, we explained three best 4K UHD Blu-ray solutions which help you to copy, rip, or even create your own UHD Blu-rays. If anytime you want to try these solutions then just download the 64-bit version of DVDFab 10.